Now in its 13th year, this year’s event – one of Thailand’s biggest charitable events — will move from its original home of Hua Hin to Bangkok, featuring local television stars, supermodels and professional polo players. It will have something for everyone, including an opening parade, Children’s Day, Ladies Day and wide a range of fun elephant-related activities for the whole family. Fifty street elephants will take part in this year’s tournament, during which they are well fed, provided with a native forest environment, and receive essential vitamin supplements, full veterinary checks and care for the duration of the event. Street life and ‘unemployment’ can be tough for an elephant, walking through crowded tourist areas and busy roads for 10 hours a night, forced to rest during the day on small green spaces within the cities, often without shade and water. The King’s Cup schedule is deliberately designed to give these elephants rest and relaxation on a scale they are never afforded in their ‘normal’ lives. Over $US750,000 has been raised from the tournament and donated to projects that better the lives of Thailand’s wild and domesticated elephant population. Due to the growing popularity of the tournament, the event will move from the Royal seaside town of Hua Hin to the Siam Polo Park at VR Sports Club in Bangkok. 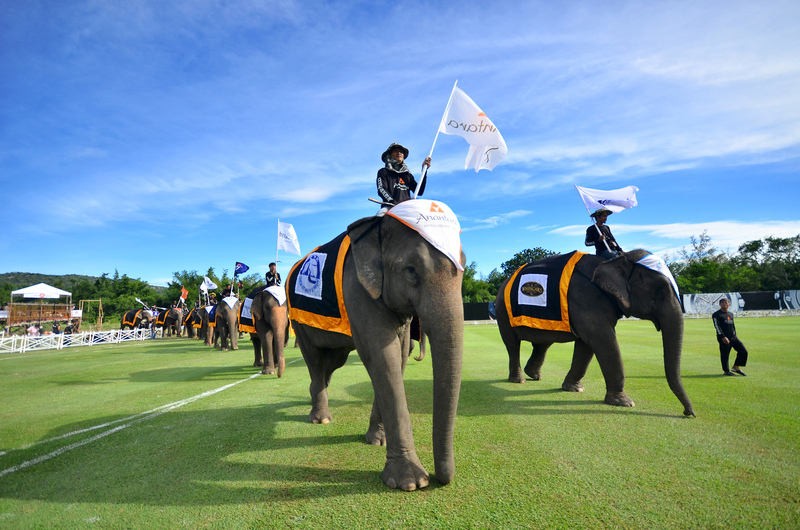 With the move, Anantara’s three Bangkok properties – Anantara Baan Rajprasong, Anantara Bangkok Sathorn and Anantara Bangkok Riverside – are offering a special Pachyderms and Polo package to get guests into the swing of the games during their stay. Guests will look the part with free souvenir polo player shirts, free entrance to the tournament, where they can have their photo taken with the players and enjoy the wide range of activities and games. Then after each day, guests will travel back to their hotel to relax in five-star luxury, with all transfers between the hotel and pitch and a daily breakfast included.